Zippo Brushed Chrome Stars And Stripes Patriotic Windproof Lighter | BUDK.com - Knives & Swords At The Lowest Prices! 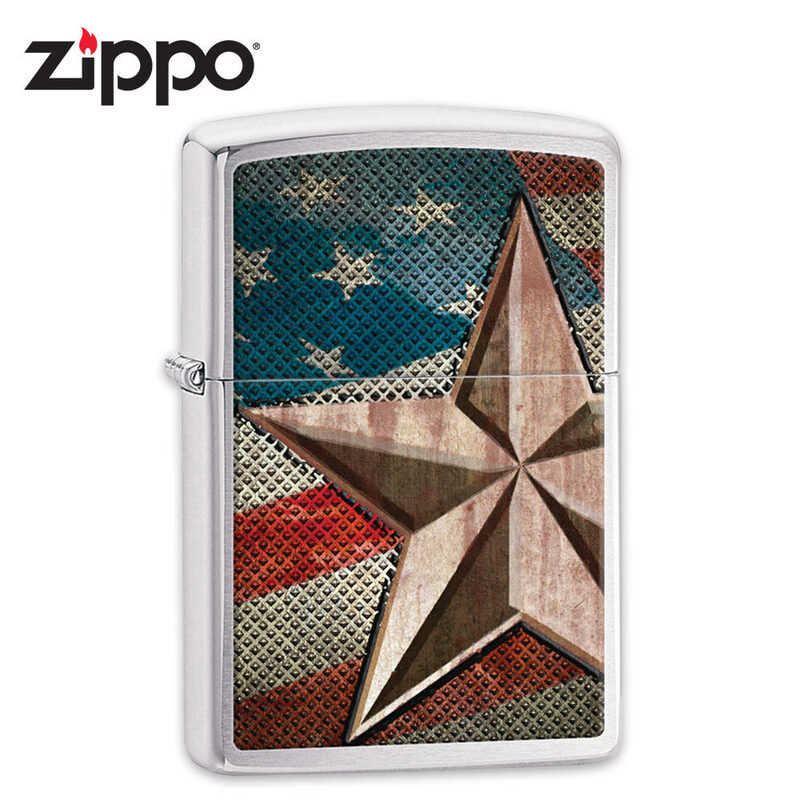 Show off your American pride and patriotism with Zippo's all-new stars and stripes patriotic windproof lighter. It features a brushed chrome case with original artwork depicting the stars and stripes of the American flag. Most importantly, it provides Zippo's legendary windproof performance, guaranteed! Made in the U.S.A.